A new trailer for Wonder Park has arrived online. This movie has been in the work for a handful of years now, with production initially kicking off back in fall 2014. Nickelodeon Movies' latest has had a long road to theaters, but it's finally on the way and it's an imaginative look at the creative mind of a young individual. The studio apparently likes what they've got, as they shelled out money to debut this latest trailer ahead of the Super Bowl. Will that pay off? It's impossible to say, but we've got the new footage for you to check out anyway. With the latest sneak peak arriving on Super Bowl Sunday, Wonder Park tells the story of a magnificent amusement park where the imagination of a wildly creative girl comes alive. The movie centers on June who, in her younger years, was obsessed with her imaginary amusement park named Wonderland and did her best to bring it to life. But as she grew older, June abandoned her imaginary childhood haven. One day, much to her surprise, June discovers that her imaginary (or what she thought was imaginary) theme park is very much real, yet tragically run down. Now, she must help her friends save this magical place from a devastating army of Chimpanzombies. The creative team has assembled an all-star cast for the upcoming animated feature. The voice cast includes Jennifer Garner (Love, Simon), Matthew Broderick (Ferris Bueller's Day Off), John Oliver (Last Week Tonight), Mila Kunis (The Spy Who Dumped Me), Kenan Thompson (Saturday Night Live), Ken Jeong (The Hangover), Norbert Leo Butz (Dan in Real Life), Ken Hudson Campbell (Armageddon). Newcomer Brianna Denski is on board as the voice of June. David Feiss, Clare Kilner and Robert Iscove have been reported as directors by various sites, but Paramount Pictures confirms that no one is being credited as director at this point in time. The history of the director's chair on this project is a bit complicated. Originally, it was Dylan Brown at the helm and, at that time, it was going under the title of Amusement Park. However, he was fired following accusations of inappropriate and unwanted conduct. At that point, Feiss, Kilner and Iscove were brought in to shepherd the movie through the rest of production. Arrested Development star Jeffrey Tambor, who has also been subject to misconduct allegations, was also originally part of the cast. He was replaced by Ken Hudson Campbell. 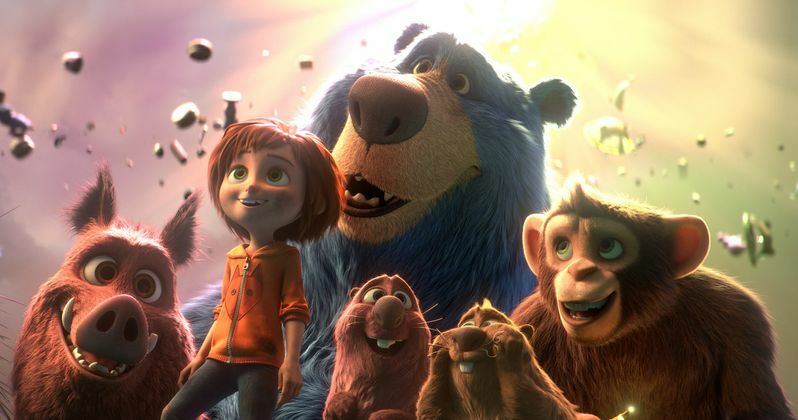 There is no update yet on who will be the credited director on Wonder Park. The script comes from Josh Appelbaum and Andre Nemec. They previously penned both of the recent live-action Teenage Mutant Ninja Turtles movies produced by Michael Bay. Robert Gordon also contributed to the story. Nickelodeon has faith in what they've got, as they already have a TV series based on the movie in the works and slated to debut later this year. The network had done this twice in the past, with both Jimmy Neutron: Boy Genius and Barnyard. Paramount Pictures is set to release Wonder Park in theaters on March 15. Be sure to check out the new trailer below.